Pruning Roses: A short list. 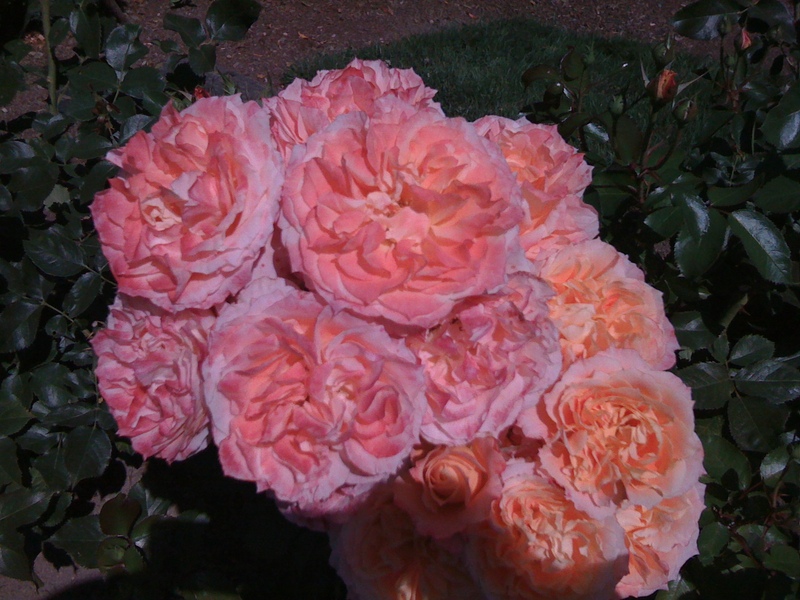 A short primer on pruning hybrid tea and floribunda roses. 1. Remove dead wood by cutting 1/2 ” below the dead wood. Dead tissue can spread into living wood. 2. Prune out diseased portions. 3. Remove rootstock suckers. Dig to root and remove from there, not at ground level. 4. Cut above an outward facing bud, at an angle. 5. Remove canes thinner than a pencil. 7. If more than one sprout emerges from a bud, remove the weaker. 9. Dead-head during blooming to encourage new flowers. Make cut above the first leaf with five leaflets, or cut back to the third leaf node below the blossom. Last year I delayed pruning my Chicago peace hybrid tea rose. It began to grow. I became attached. The new growth; so green! By May, when blossoms should have astonished and amazed, the whole plant was languishing. Tall, spindly, bare at the base. A few weak blossoms at the top. I took the felcos in hand in June and cut the four foot plant down to about two feet. By mid-summer I was rewarded with an abundance. But my delay set the joy back a few months and I learned my lesson. This year 12-18″ inches in February, no questions asked!